Machinery transportation – D&J Machinery And Rigging LLC. – Heavy Machinery Equipment, Moving, Hauling, Removals, Installation, Recovery & Transportation, Crane. 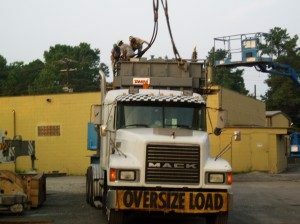 D&J Machinery And Rigging provides machinery transportation solutions for your heavy equipment. We have the background required to get your heavy equipment transportation job done. You can turn to our team for machinery removal for short or long distance hauling of heavy equipment, and we can provide complete, end-to-end management for relocating your heavy machinery. Our machinery transportation services meet the challenges involved in relocating your heavy equipment. By providing services such as arranging and coordinating transport, containers, inventories, and tracking, we have the solutions to your machinery shipping needs.